In collaboration with Boxoffice Magazine CJ recently celebrated the 50 top female executives in the global cinema industry. Here is an interview with this year’s top candidate, Dadi Cinemas’s Yu Xin, the general manager of China’s second largest exhibition circuit. It was carried out by Daniel Loria and first printed in Boxoffice Magazine’s special CinemaCon 2017 International issue. Boxoffice Magazine: How did you first enter the exhibition industry? Yu Xin: The greatest luxury in life is to engage in work that you love. I was motivated to enter the film industry by my personal interest and love for the business. At the same time, it also came from being deeply optimistic about the development of the Chinese film industry. I’m very honored to have happened upon a period of such rapid development. BOM: Can you tell us more about your current role at Dadi? Yu Xin: I am currently Dadi Cinema Group’s general manager, and I am responsible for the development of Dadi in China. BOM: What sets Dadi apart as an exhibition circuit in a competitive market like China? Yu Xin: Dadi’s core competitive strength lies in our standardized chain management capability. We’ve created a unique management style where the head office integrates a centralized marketing plan and unifies show-time allotment management as well as behind-the-scenes support. Through this centralized process, we can achieve highly efficient management and create an advantage of scale. Moreover, by means of a standardized training system, we are able to quickly bring talent up to speed in order to meet the demands of our fast-developing company. On the basis of the head office’s centralized management model, Dadi can implement a city-centered business structure, deepening city management and satisfying the individual needs of different regions. Dadi’s business philosophy attaches great importance to quality. In May 2016, Dadi announced our own large-scale laser screen brand, STAR MAX, a high-quality viewing experience for audiences. In the next three years, 100 cinema auditoriums across China will be equipped with STAR MAX screens. Innovation is an important part of Dadi’s corporate culture. We encourage personnel to bring forth new ideas, while at the same time the company itself is actively innovating. In 2015, Dadi was the first within the film industry to propose the “Film +” strategy, that is to create an experiential cinema ecosystem combined with in-depth management of film communities to provide audiences with diversified services, while at the same time effectively linking multiple formats and sharing resources. Currently our forays into innovative concessions, retail sales, and the Internet have made considerable headway. In 2017, we will further innovate, combining filmic elements with concert and stage play elements, thereby upgrading film-screening spaces to become a kind of interactive cultural and entertainment platform. BOM: Dadi’s recent acquisition of Orange Sky Golden Harvest (OSGH) has further solidified its presence in mainland China. Could you tell us a bit more about the deal and its impact for the future of your circuit? Yu Xin: Before the acquisition, we predicted that China’s exhibition industry would be restructured in the next three to five years, and at present the distribution of cinema-investment companies in the market are rather scattered, so we had to seize this opportunity to get out in front of the industry. Acquiring OSGH had a very important strategic significance. After the acquisition, Dadi’s market share quickly rose to 6.7 percent, strengthening our market position. OSGH’s overall distribution was mainly in China’s first- and second-tier cities, complementing Dadi’s strength in second-, third-, and fourth-tier cities. From a brand perspective, the acquisition also made sense. After acquiring OSGH, we were also better able to scale. 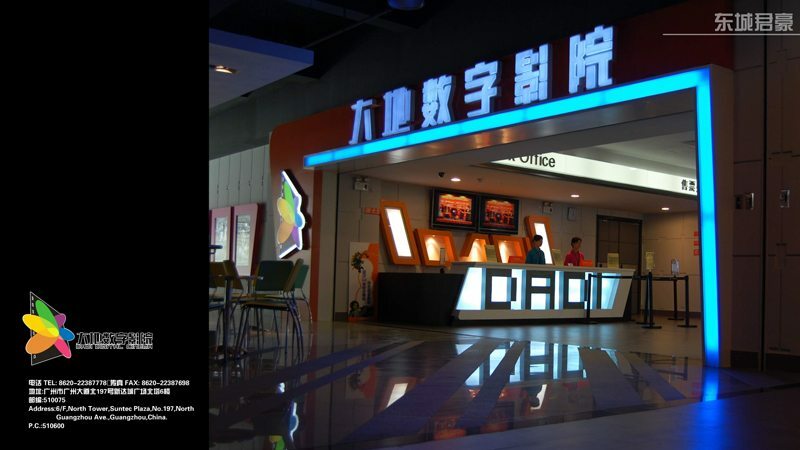 Dadi Cinema Group now operates 426 cinemas with 2,442 screens across China, and holds a strong second position among cinema-investment companies in the country. BOM: Does Dadi have ambitions of expanding its presence outside China? Yu Xin: Dadi has always closely followed overseas markets. If there’s an opportunity, we would begin overseas expansion depending, of course, on actual circumstances. BOM: What are some of the factors that you believe have contributed to the growth of the cinema industry in China? Yu Xin: Firstly, government policies. In recent years, the government has placed the promotion of cultural industries in an important position and has come out with many incentives. Last year’s Film Promotion Law (which is to go into effect March 1, 2017) will put even more policies into place. Second is the strength of capital. Capital has provided abundant funding toward the development of the film industry. Even though it has also brought about problems, capital is an indispensable driving force for the industry’s development. BOM: Do you believe this growth will continue or that we will see the market stabilize and consolidate in the coming years? Yu Xin: In recent years, China’s cinema industry has developed at a breakneck speed. Everyone is rushing in to stake their claim in the market. But after readjusting to the growing pains following 2016’s slowdown at the box office, China’s film industry can rightly return to a rational market and develop in a healthy, stable direction. I estimate there will be a two- to three-year adjustment period, during which reorganization and consolidation through mergers and acquisitions will become a point of interest. In the future, the market will reach equilibrium and a smooth developmental condition will emerge. BOM: How do you believe the moviegoing experience will change in the next 10 to 15 years? Yu Xin: China has already stepped into the latter stages of its industrial age where cultural consumption has become predominant. Cinemas will become an important location for social interaction. Apart from computer hardware continually advancing, the cinema will mix in more cultural elements (gaming, music, stage productions). At the same time, it will have the aid of new technologies (virtual reality), allowing more interactivity for audiences. Media professional with experience across a variety of fields: Publishing, Digital Strategy, Marketing, International Business Development, Content Acquisition (Broadcast & Digital), Programming, and Event Planning.